Prominent & Leading Manufacturer from New Delhi, we offer office work station and reception table. 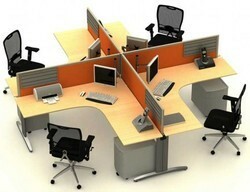 Being the reckoned names in the industry, we offer artistically designed array of Office Work Station. Our entire service is resale based and add attractive look to the surroundings. They ensure classy patterns and are offered in standard configurations. 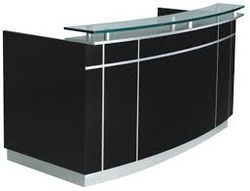 Innovation is our forte and we are an established name of Reception Table in the market. This particular product sticks to the designated function and is superb on the style quotient as well. Best of our skilled professionals are engaged in the processing and carrying out of this product which adheres to the set industry rules and regulations. On-time delivery is something that is always a must on our list. Customized designs are also provided.